Government of India and the National Committee has been ordered revoked for more 100% and more Tax Deduction under section 35 AC of the Income Tax Act, in computing the business income of the assessee, of the amount paid by him to a public sector company or a local authority or to an NGO for carrying out any eligible project or scheme. Government of India made amendment in the Income tax Act of section 35AC by the Finance Bill 2016. According to the amendment in section 35AC of the Income Tax Act no deduction under this section shall be allowed in respect of any assessment year commencing on or after the 1st day of April, 2018. According to the order of Central Board of Direct Taxes (CBDT), it may be noted that requests received after 31-12-2016 for the grant/modification /extension of approval beyond 31 March 2017 under section 35AC of the Income Tax Act shall not be considered /entertained by the National Committee of CBDT. It means that the permissions and certificates provided in tax exemption under section 35 AC shall be terminated and the tax exemption shall not apply for the certificate holder NGOs. 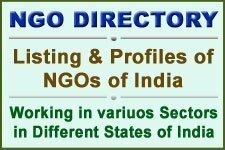 The NGOs can not avail any exemption u/s 35AC as Government of India revoked the 100% and more tax exemption. Other Tax exemption under Income Tax Act like 80 GG and 12A shall be applicable and shall be continue and NGO can avail the exemptions. NGOs who were registered u/s 35 to provide the Income Tax Explanation upto 100%, 125% and 175% to the donors could use the Tax Exemption certificate before 1 April 2018 only. NGOs and donors can not avail the advantage of these provisions to attract potential donors after the end of financial year 2017-18.